On April 27 Roy Young passed away at the age of 81. He may not be a household name although he was associated with a lot of big name artist like The Beatles, Cliff Bennett, Chuck Berry, David Bowie, Ian Hunter and others. He was basicaly a boogie-woogie pianist who played in 1962 on stage with The Beatles in the famous Hamburg Star Club and recorded with them on the Polydor sessions with Bert Kampfert which led to the famous first 'Beatles' recording with Tony Sheridan. He played also with Cliff Bennett & The Rebel Rousers, Cliff Richard & The Shadows and was offered to play on the Station To Station sessions with David Bowie which he couldn't do due to other obligations, but later he played on the first side of the 'Low' album. 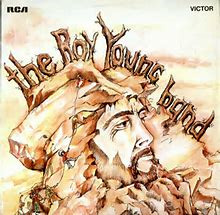 In the early seventies he formed The Roy Young Band with a horn section and a style in the vein of Blood, Sweat & Tears. This band also featured Cliff Davies who later played in If and was one of the key members of the Ted Nugent band in its most succesfull period. He had also Howie Casey in the line-up who later played in the touring band of Wings and Paul McCartney and on some studio recordings. His band also backed Chuck Berry and Young was a member of the Ian Hunter/Mick Ronson Band. (GR) P.S. : on his website you can find a picture of Young on stage with The Beatles.